January is the time for new starts and setting goals for the coming year. It’s also Learn to Ski and Snowboard month, so there’s no better time to resolve to hit the mountain. Though February is almost here, the snow is just beginning to fall in lots of places across the country. So if you’re interested in trying something new or getting on some fresh powder, you still have plenty of time. 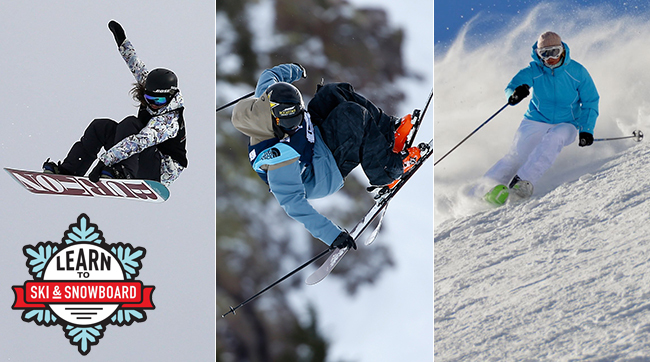 To assist you in your new endeavor, SI Kids spoke with three experts: Kelly Clark (Three-time Olympic medalist and X Games gold medalist), Josh Christensen (first-ever free skier to win Olympic gold in slope style), and Kim Reichhelm (two-time World Extreme Skiing Champion). With some advice from this group you will be a pro sooner than you think. 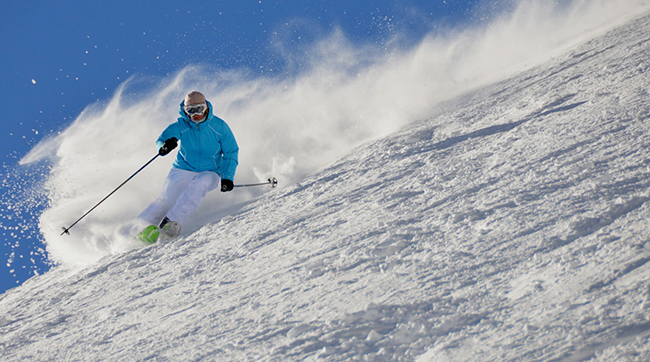 When did you first become interested in skiing? 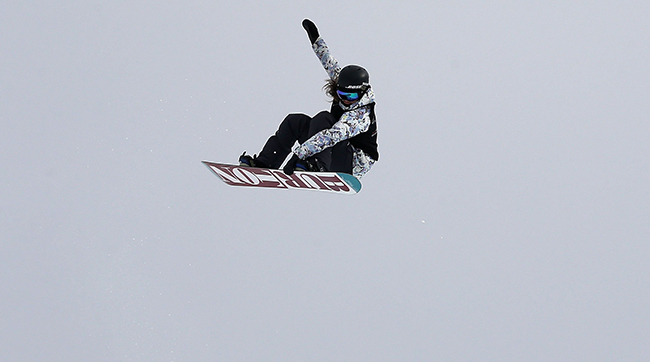 Kelly: I started snowboarding before it was “cool.” It wasn’t an Olympic sport yet. My parents bought me a plastic snowboard and I went out on the snow bank in our yard. As I got older, maybe around 8 years old, I actually got a petition filled with signatures to start an after-school snowboarding program. I was one of the only girls on the mountain. Joss: My parents got me on skis when I was about 2 years old, but I really started skiing when I was 4. I definitely took it slow when I was younger. It was cold and hard to get it going, but since I can remember, maybe around the age of 8 or 9 years old, I was just obsessed with skiing. I would ski every weekend [and] jump off of everything I could possibly jump off of. Kim: It’s all pretty vague. I’ve skied my whole life. I started skiing when I was three with my family in Vermont. I remember from a very young age loving everything about the sport. There were days in Vermont where it would be pouring rain or freezing cold and everyone in my family would want to quit, and I just wanted to keep going. ​What’s the best age for someone to learn to ski or snowboard? Kim: I don’t think there’s any time that isn’t a good time to try skiing. It’s such an amazing sport. It’s unique and you don’t have to be good at it to enjoy it. You can be a beginner and still get out in the mountains and appreciate the fresh air and the beauty. You don’t have to be skiing black diamonds. It’s not like other sports where it’s not really fun until you get better. It’s a quick learning curve. Joss: If you like being cold, I’d say 4 years old is perfect. If you can figure out the basics of skiing at that young of an age, for the rest of your life it should come so easy and natural. I’m so lucky that my parents loved skiing so much and wanted to make sure my brother and I loved skiing just as much. It’s hard to understand what the hard parts to learn are because I learned at such a young age. What should beginners be prepared for when they get out on the mountain for the first time? Joss: I’d highly recommend being patient and taking it as slow as you possibly can. You may think it’s embarrassing to be on the bunny hill, but that’s the best place to learn. Also, the catching air part definitely surprised me at first. It took me a while to figure out how to land. It’s going to be frustrating at first, but in the end it’s 100% worth it and you can get your confidence going and go fast. Kim: The equipment is a little bit overwhelming. The ski boots themselves are hard plastic, they’re hard to walk in. My recommendation when you are learning is not to just hire an instructor, but before you even get close to snow have someone help you put on your rental boots and walk in them. Have someone teach you how to buckle them. It’s really important, for control, that your boots are buckled tightly. Get all of your gear on the day before, do a dress rehearsal. Practice walking around the house and up and down stairs. Figure out how everything works when you are able to look at it. Kelly: Something I hear a lot and always kind of chuckle at is how sore a beginner’s upper body is after their first time on the mountain. People think because it’s snowboarding that just their legs will be sore. They don’t realize they might be pushing themselves up a lot after they fall. How can beginners balance learning at their own pace but also try new things and learn to push themselves? Kim: Try to have something that you’re constantly working on to get better – whether it’s your hand position or your stance in your boots. If your friends are doing things you can’t do, like jumps for example, you can still join them. Just ski around the jumps. Joss: You should know your boundaries. I would say really make sure to figure out your edges. You have four edges on skis (two on each feet). A lot of skiing is how you shift your body weight from edge to edge, that’s how you turn and stop. There’s a lot of balance involved but the momentum kind of takes away from how much of a balancing act it is and it’s more so a fluid motion. Kelly: Try to challenge yourself, too. Learn one new thing every day. Work on your weak aspects. Try different tricks. Try to grow as a snowboarder. If you continue to learn and spend a lot of time out there, the sky is the limit. If a beginner enjoys their first couple of times snowboarding or skiing and wants to continue, what would the next step be? Or if they want to compete at a higher level? Kelly: I would say you get out what you put in. It takes a lot of investment to be excellent at anything you do, and it takes time. So I would say get out on the mountain every opportunity when you can. In good weather or bad weather. Go with people that are better than you, go with people that you can to help learn. Any opportunity to get on the mountain is the best thing you can do. Get on the mountain and spend as much time out there as you can. Kim: The person who’s interested needs to look into recreational competition at their local resort. Anyone can do it. Even if you don’t want to be a racer, but you want to be a big mountain skier or mogul skier or compete in the X Games, racing is really good and will teach you lots of skills. Joss: I would recommend skiing as much as you can. When I was growing up we never really had a lot of training parks, so we skied through the mountains, trees, in different conditions. That’s one of the best ways to get your skiing skills to the point where you should jump into the training park. 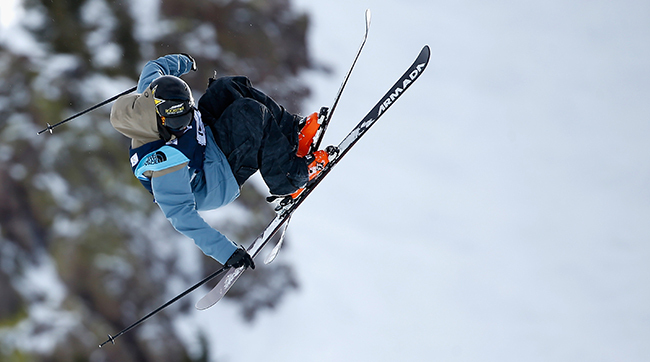 If you can ski really well and your confident, that’s when you’ll be able to do your tricks. Spend as much time in the training parks before you work your way up. I took it slow and step-by-step to get to where I am today.